The Romans have retreated from Britain, and left only chaos in their wake. One man is prophesied to put an end to the warring kingdoms, the invading Saxons and the injustice wreaked on the common peoples. He is Arthur Pendragon. On the eve of her arranged marriage, the Princess Elaine promises the dying Uther Pendragon and her treacherous mother Igraine that she will support the ascension of her half-brother Arthur to the throne. Determined to support her brother and his vision for a glorious Britain, Elaine is soon swept up in the intrigues of Camelot and caught firmly between her warring siblings – the High King Arthur, the vengeful Morgan LeFay and the devious, lustful Morgause. 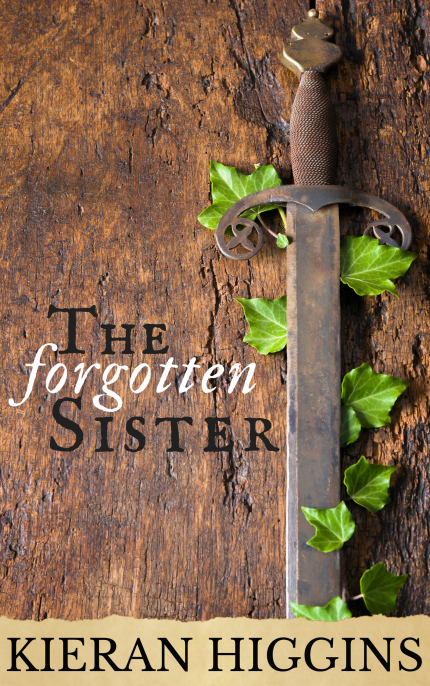 The Forgotten Sister is Kieran Higgins’ debut novel. Fans of the Arthurian myths or the Mists of Avalon will love this book, as will readers of Phillipa Gregory and Alison Weir.